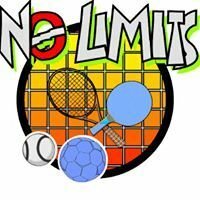 Hello I'm the chairman of the No Limits Sports Club – a role I have enjoyed since retiring from engineering management in 2016. I have been with No Limits since 1999, when my son Arthur became a member. I have a keen interest in cycling and playing guitar, although I have not mastered doing both at the same time. If you have any question or suggestions about No Limits, please feel free to get in touch happy to help. Hi I’m Belinda, I’m the Vice Chair and sports coordinator at the club. I came to no limits in 2014 through my college course, I loved my experience so much I didn’t want to leave. During my time at the club I have achieved my boccia leadership qualification, became an archery instructor and created our Sunday gym sessions. I have my honours degree in sport and exercise science, specialising in physical activity participation for people with learning disabilities. Hello, I’m Paul and I am the club’s Secretary ( That means I get all the work to do!) I am retired and am the main carer for my disabled daughter. I have been involved with the club since the year 2000 and am one of the Archery & Gym instructors, I also help to organise the Ten Pin Bowling and Fishing events. I’m a retired teacher. My daughter joined in 1997 when I became an active committee member.I am a qualified archery instructor and assist with disability archery. I run the clubs boccia group and we have won many awards in competition. I also run the annual boccia tournament. As for myself I'm a keen fly fisher and the club has recently introduced our members to bait fishing, holding 2 annual fishing events at Allandale Tarn so I will have to now find another sport just for me. Hello, I am Ashley, I have been a volunteer at the club for 11 years, and a committee member for 10. I am the events organiser, one of the clubs archery instructors and a qualified disability sports coach. During my time at the club I have completed my masters in Occupational Therapy. I became part of the No Limits committee in 2015 having attended the club with my family for around a year. Having seen how No Limits has changed the lives of so many young people facing a variety of challenges, including my son Euan, it is a privilege to serve on the committee of the club. With over 15 years experience volunteering in the charitable sector and a career in the financial services industry, my main role on the committee is planning and running social and fundraising events. Hello I'm Alan and my background is in Information Technology. I have been a volunteer since 2016. I help the club to maintain its social media presence by making sure that the Website and Facebook are kept up to date with the latest news and photographs of the activities we do. Hello I'm Fiona, one of the founding members, I grew up with the club and when I became old enough I joined the management committee. I organise the boccia on a Saturday and take part in competitions. I also support other competitors and help out at the competitions we hold.